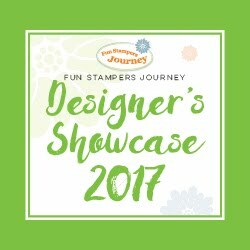 What is the Designer’s Showcase? 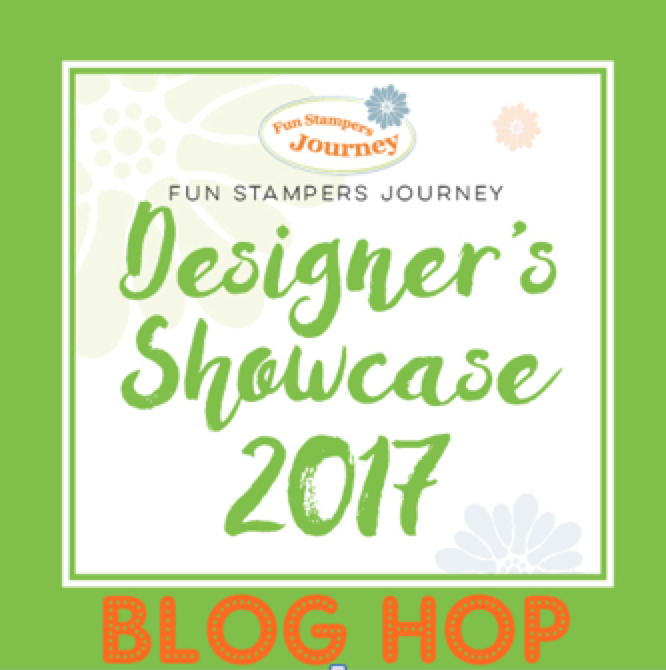 We are a team of ten Journey Coaches from all over the country, hand selected by Fun Stampers Journey to showcase the amazing products that Fun Stampers Journey has to offer and inspire you to create. 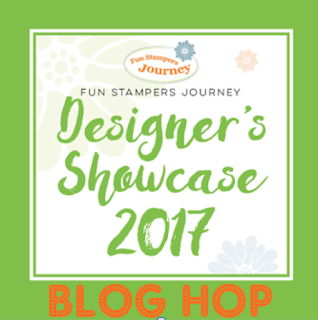 I am Fun Stampers Journey Coach #35 and proud to be part of this creative journey almost since the very beginning when Fun Stampers Journey was first established. That makes me one of 8 Direct coaches - a fantastic group to be a part of because my upline is Richard Garay himself! 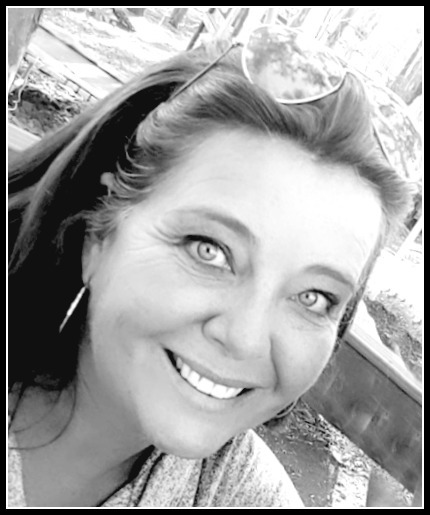 My life is filled with creativity and energy as I juggle selling Real Estate by day and teach painting classes at night. 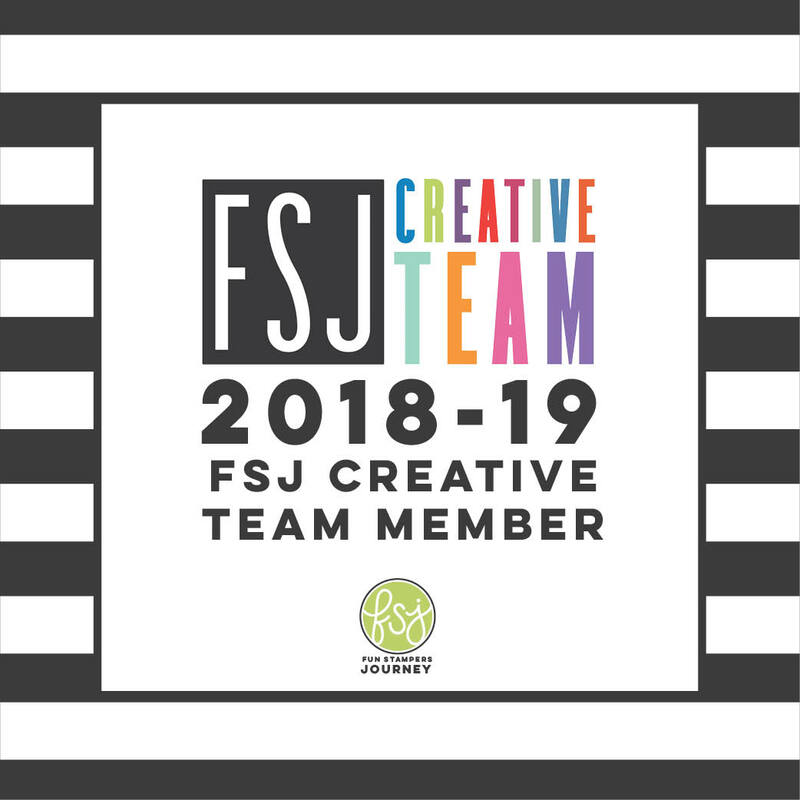 Our family is constantly on the go - it's crazy and we love it! 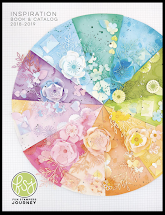 Color in die-cuts using PanPastels. 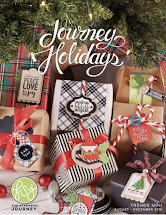 Brush a few dots and a "swoop" of Butter Cream re-inker on lighter side of baubles and cover with Journey Glaze. Set aside to dry. Adhere Gold thread to baubles and secure to the back of the embossed panel. Attach baubles to card panel using foam squares. Adhere medium Fashion Gold embellishments to the top of the baubles. 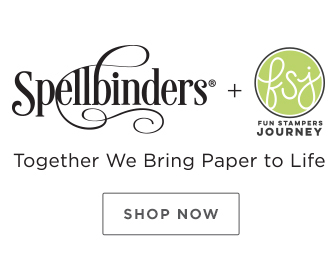 Assemble and adhere mini bow. 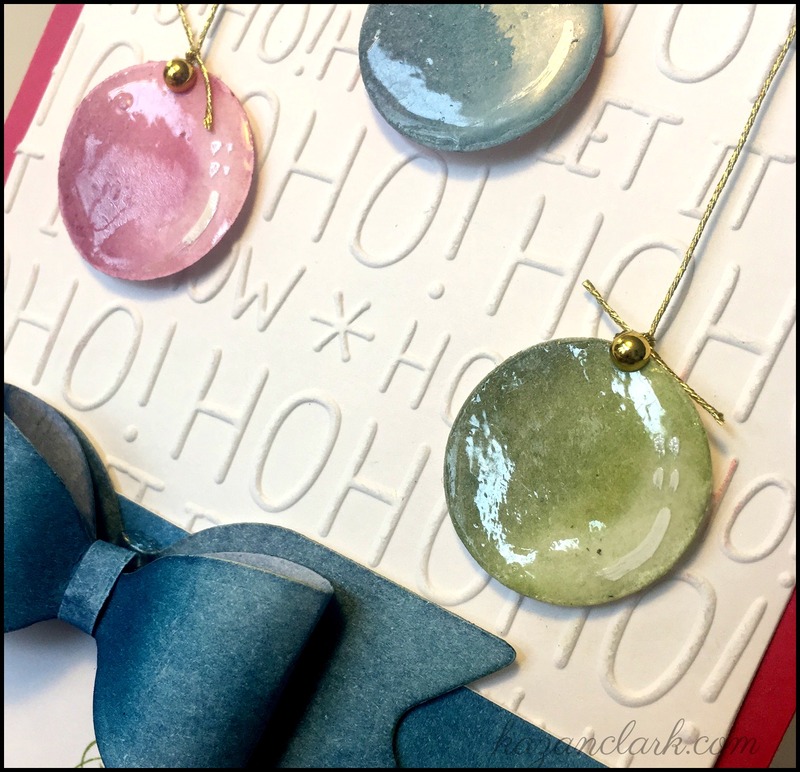 Fold card base using Sweet Berry cardstock. Adhere base.